Think cardboard has to look bland or isn’t sturdy enough to make a viable structure? Think again. Shigeru Ban is one architect that has taken cardboard to a new level. The ability to transform the material into amazing structures isn’t his only gift. He also uses his skillset to make cardboard emergency shelters for communities that need them most. 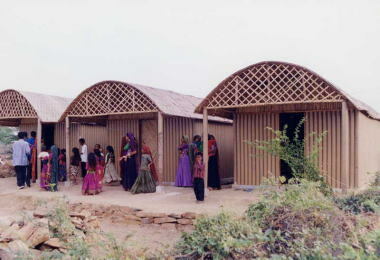 Many of his designs have been built as temporary shelters to help sustain regions suffering through terrible natural disasters. His shelters have been put to work in Japan, Rwanda, Haiti and several other places. Cardboard is fairly inexpensive, especially in comparison to other building supplies. 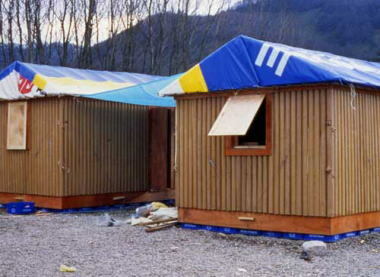 Its cost and availability are advantageous to areas hit with hardship that need temporary shelters, especially when employed in worthwhile ways. Ban has seen this need, and has delivered housing assistance on several occasions. One recent example of his work can be seen with the Cardboard Cathedral. 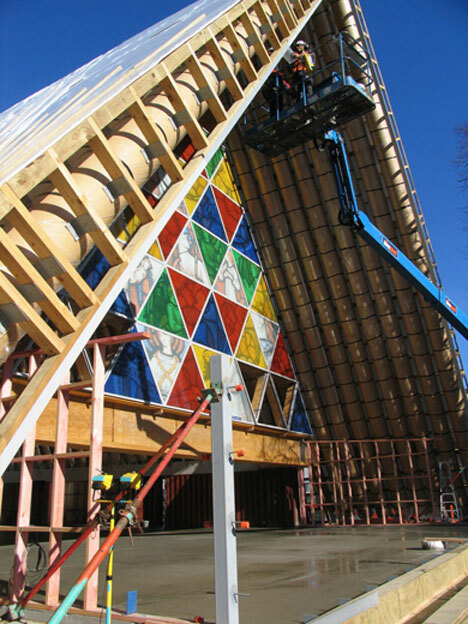 Located in Christchurch, New Zealand, he constructed the colorful church in response to the devastating aftermath of the massive earthquake that hit the city center in 2011. Cardboard tubes, wood, steel and concrete come together to make an unbelievable presentation. The structure is meant to last for decades, and may possibly even still be standing after a replacement cathedral is rebuilt. Ban has been a longtime advocate of using affordable construction materials and reducing wastefulness, and has demonstrated this throughout his career. He also acknowledges that architecture and design can sometimes focus on a few fortunate individuals instead of society as a whole. Additionally, he considers green construction somewhat of a trend, as he has been utilizing efficient means of creating structures with common sense wisdom well before it was popular. In order to make the most impact in the regions his buildings serve, supplies have to be affordable, easily transported and long lasting. Another example of his cardboard relief shelters that have provided short term housing include the Paper Log House. Those in the position to help others with their talents are encouraging, but those who are proactive in doing so are inspiring. All images are from Shigeru Ban Architects.